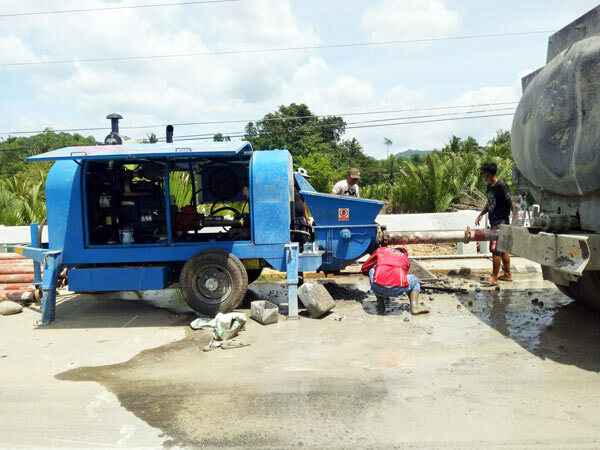 Concrete pump for sale Philippines is becoming more and more well-received in local areas due to large scale of construction projects. Indeed, with the development of modern times, it is necessary to conform to the general direction of construction. Therefore, there is need of large quantity of concrete pumps for sale Philippines to meet construction demands. Besides, one of the significant things for contractors is to choose reliable concrete pump in the Philippines. In general, concrete pump supply Philippines can be found easily. 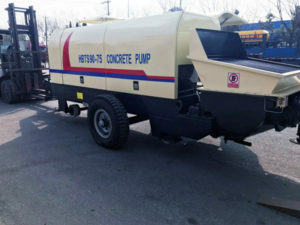 There are so many brand new concrete pump for sale in the Philippines. Aimix is also a hot brand in local place. Aimix Group exported countless construction machines to Philippines in the last few years, including concrete batching plant, concrete pump, concrete truck, asphalt plant, block making machine etc. 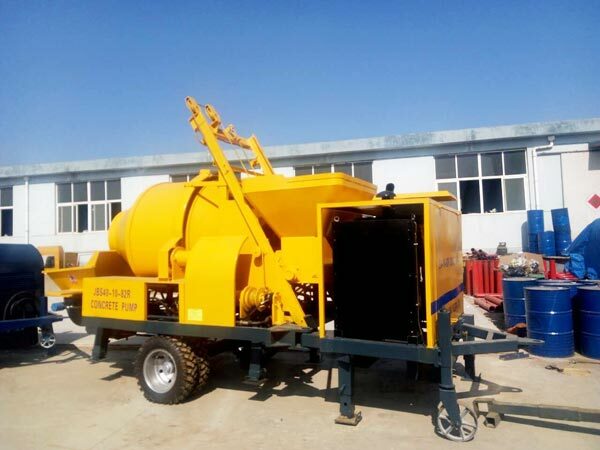 Well for concrete pump Philippines, we have delivered more than 100 sets of concrete pumps, including concrete mixer pump Philippines sale, trailer concrete pumps for sale Philippines, stationary concrete pump in the Philippines and small concrete pump in the Philippines. 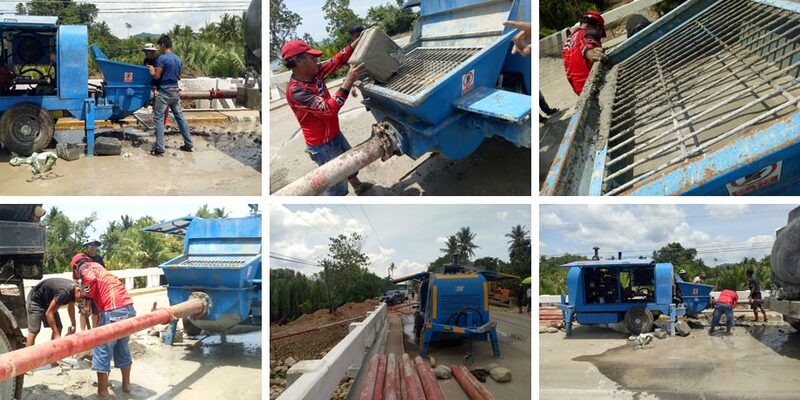 In 2018, Aimix has transported more than 15 sets of concrete pumps to the Philippines up to now. Among concrete pumps exported to Philippines, thee are two main kinds of concrete pumps for sale. One is trailer concrete pump Philippines; the other one is cement mixer pumps in Philippines. Here you can get more elaborated information about them. Trailer concrete pump is an concrete pump machine is dragged by trailer, which is easier to move. 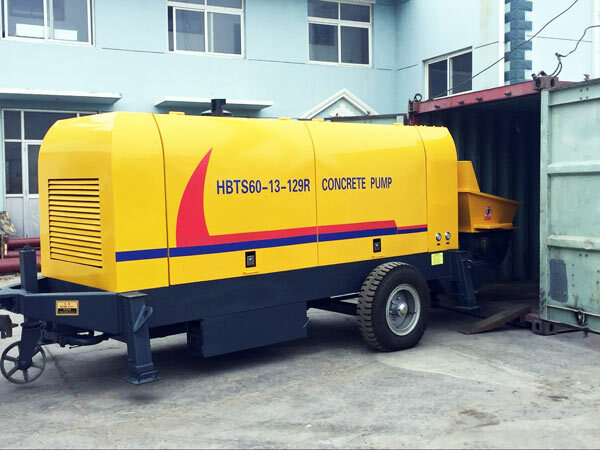 Besides, equipped with tires, the concrete trailer pump can move among construction sites easily. The capacity is about 20-90 m3/h. While the capacity among 20 m3/h to 40 m3/h is called small concrete pumps Philippines. The small concrete pump for sale is more suitable for medium and small construction projects. The trailer concrete pump is your ideal concrete pumping machine in the Philippines. 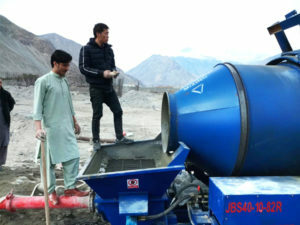 Concrete mixer pump for sale is an integrative machine for concrete mixing and concrete pumping. 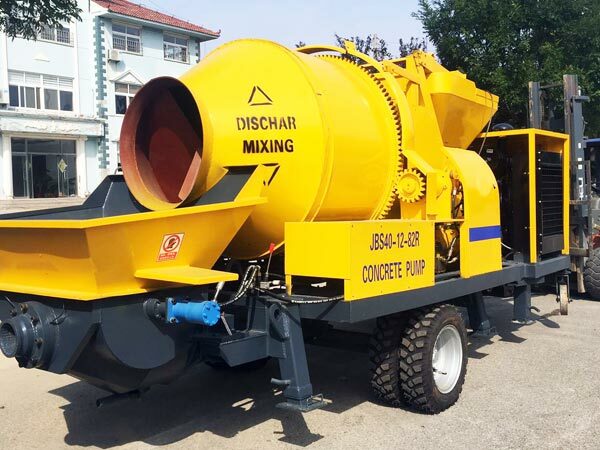 The multifunctional concrete mixing and pumping machine Philippines is applied for all kinds of construction projects, such as tunnel, building, bridges, highways, railways etc. Generally, the concrete mixer pump has small capacity range, from 10 m3/h to 40 m3/h. Therefore, it is also suitable for small and medium construction projects. Concrete pump price in Philippines is different from various manufacturers. 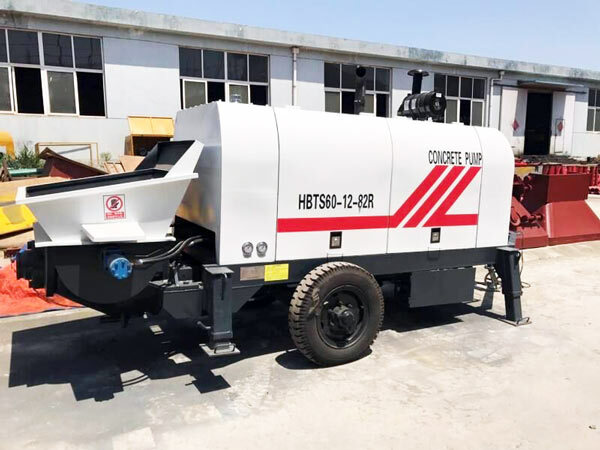 But commonly, the concrete trailer pump price in Philippines is cheaper than concrete pump mixer price in the Philippines. Because the concrete mixer pump has double functions, which is a more efficient machine for construction. Concrete pump price Philippines varies among different concrete pump suppliers. Therefore, the buyer need make a serious investigation on concrete pump price. Nowadays, a lot of contractors prefer Aimix concrete pumps to concrete pumps in other companies. The main reason is that our concrete pump has high quality, stable performance and long service life. More importantly, we offer considerate after-sale for our customers. Every year, we will visit our customers for four times. Following our clients on construction sites, our engineer will check and repair our concrete pumping machine which have been sold. Our customers gave high praise on our overall service, including pre-sale, on-sale and after-sale service. Are you eager to get one from Aimix Goup??? Never hesitate about to choose us. The competitive and attractive price appeals to you a lot. Please contact us for more details about concrete pump in Philippines. Contact email: sales@concretemixerpump.com.Or directly fill the following form, our sale will reply you in 24 hours.